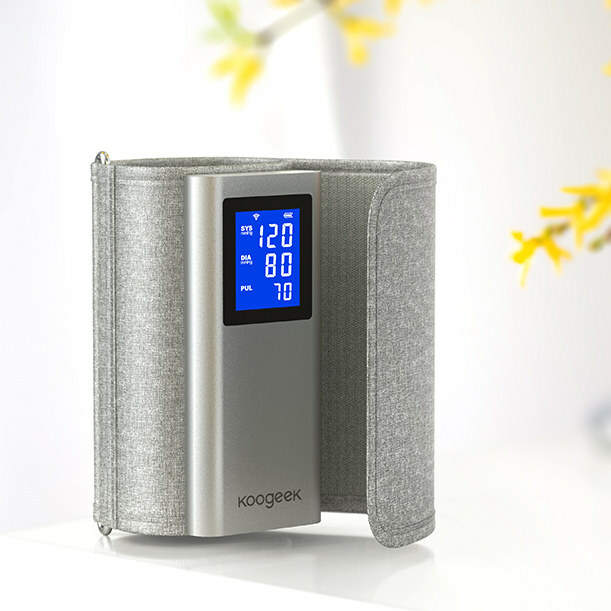 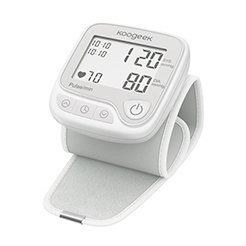 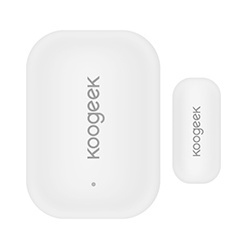 With four sensors and BIA (Bioelectrical Impedance Analysis) technology, Koogeek Smart Health Scale accurately measures your weight, BMI (Body Mass Index), body fat mass, lean mass, bone mass, total body water, BMR (Basal Metabolic Rate) and visceral fat. 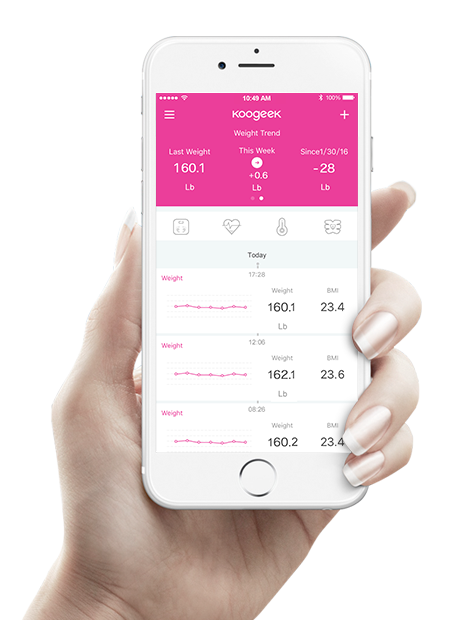 With the Koogeek app, you can set achievable goals, monitor weight trends and view individual health reports on your iOS 8.0 or Android 4.3 or later devices. 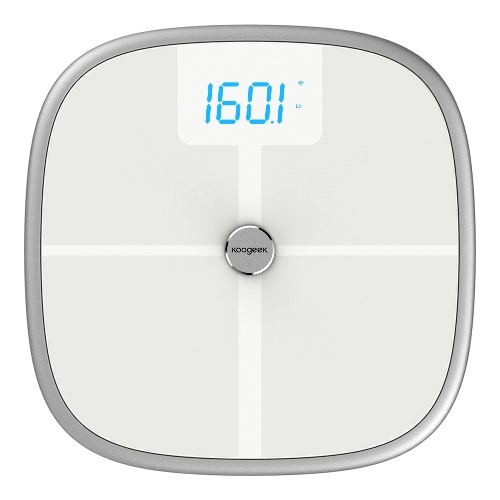 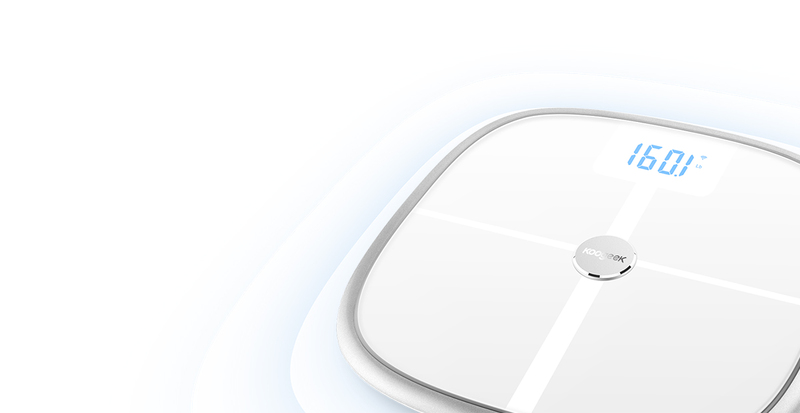 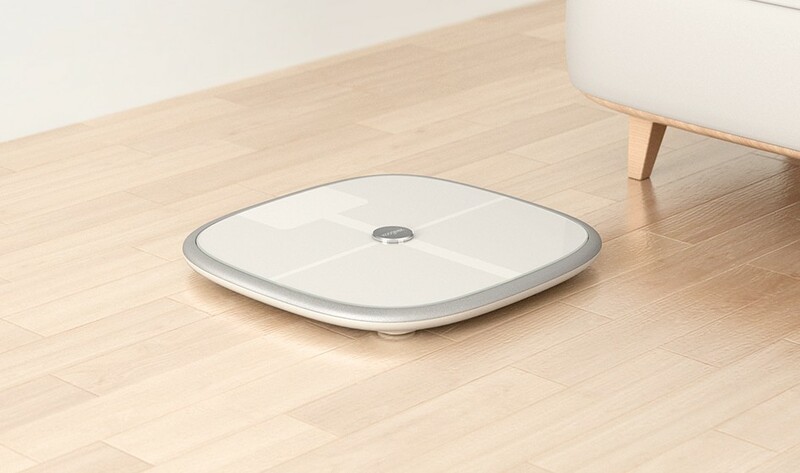 The scale automatically recognizes users on the scale. 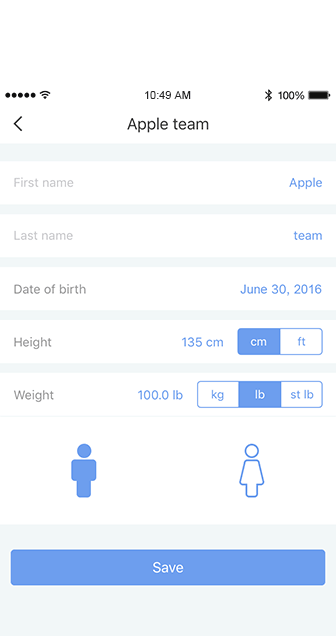 You can create user profiles for up to 16 people. 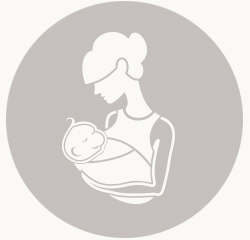 You can invite your family and friends to enjoy the experience and choose to keep personal health reports private, or share. 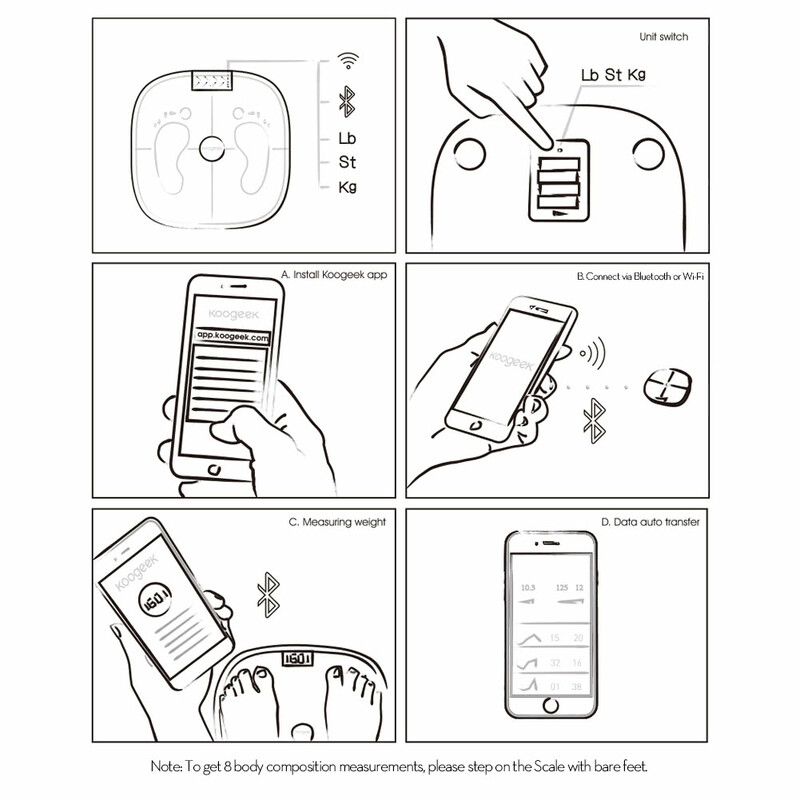 New way to weigh your baby: Weigh yourself first, then step on the scale while holding your baby. 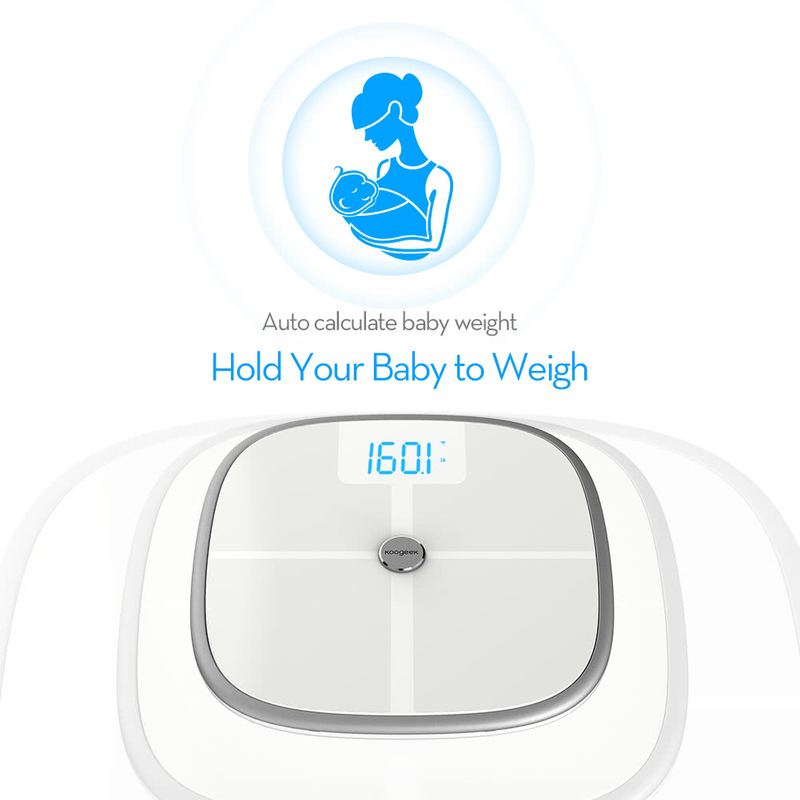 Your baby's weight will be automatically calculated and synced to the Koogeek app. 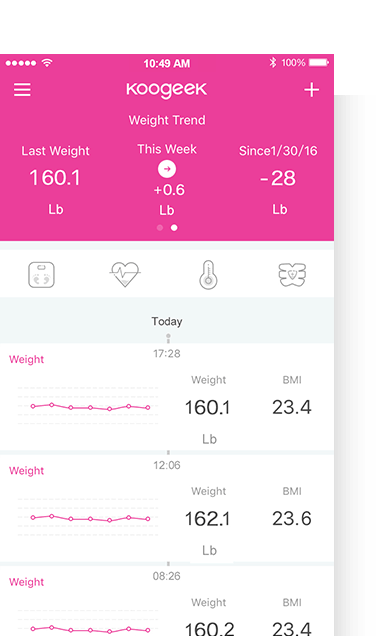 Launch the app to check your baby's weight trends. 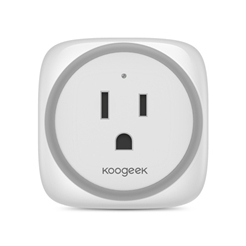 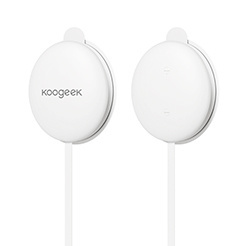 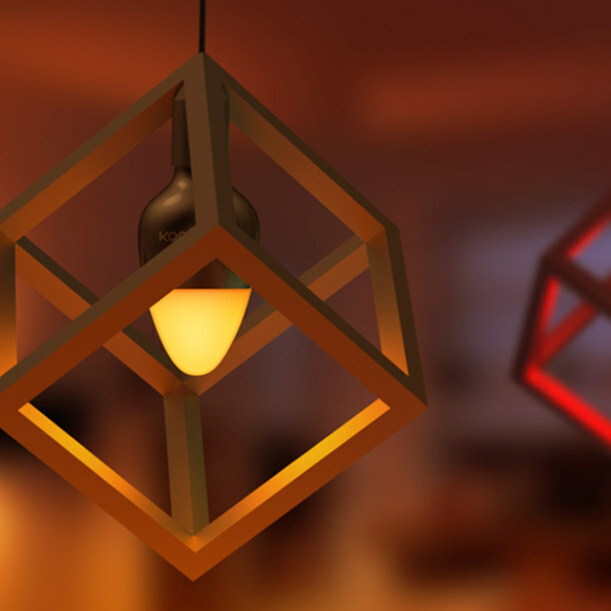 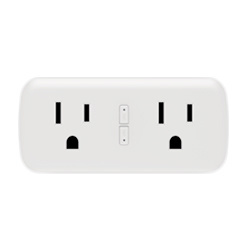 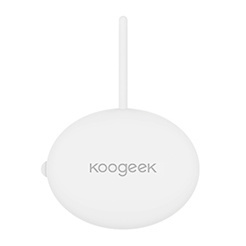 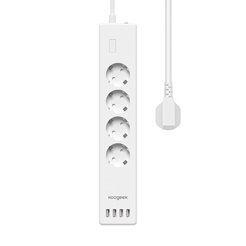 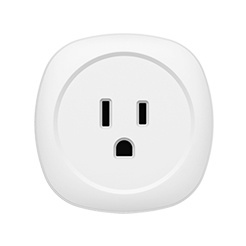 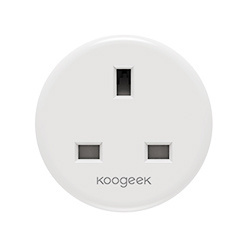 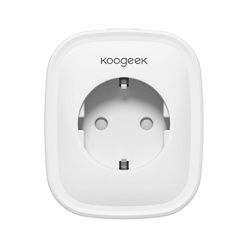 All measurements automatically sync and upload to the Koogeek app via Wi-Fi or Bluetooth 4.0. 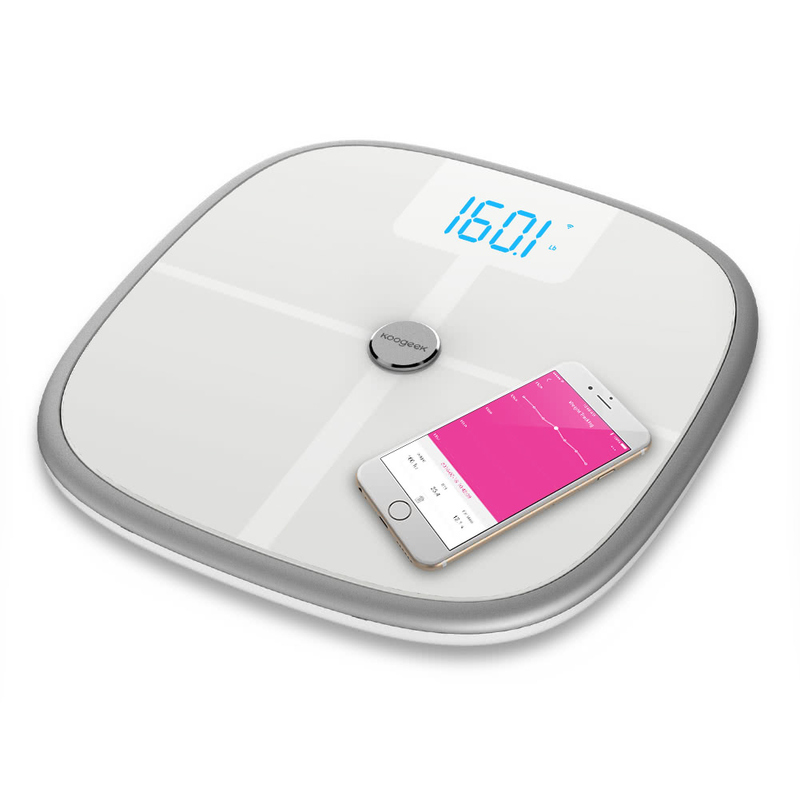 Bluetooth sync: Low power Bluetooth 4.0 enables fast and real-time data syncing near the scale. 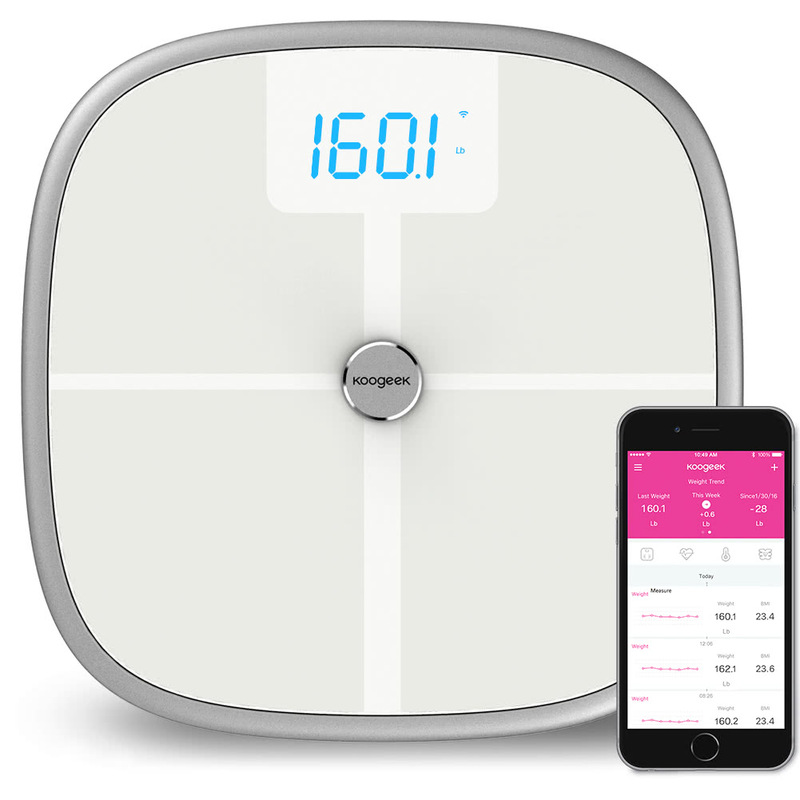 Wi-Fi sync: The long range of Wi-Fi is great for weighing anywhere in your house and every data will be uploaded to your iOS or Android device via our Cloud Server, even when you are not at home. 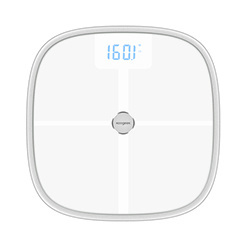 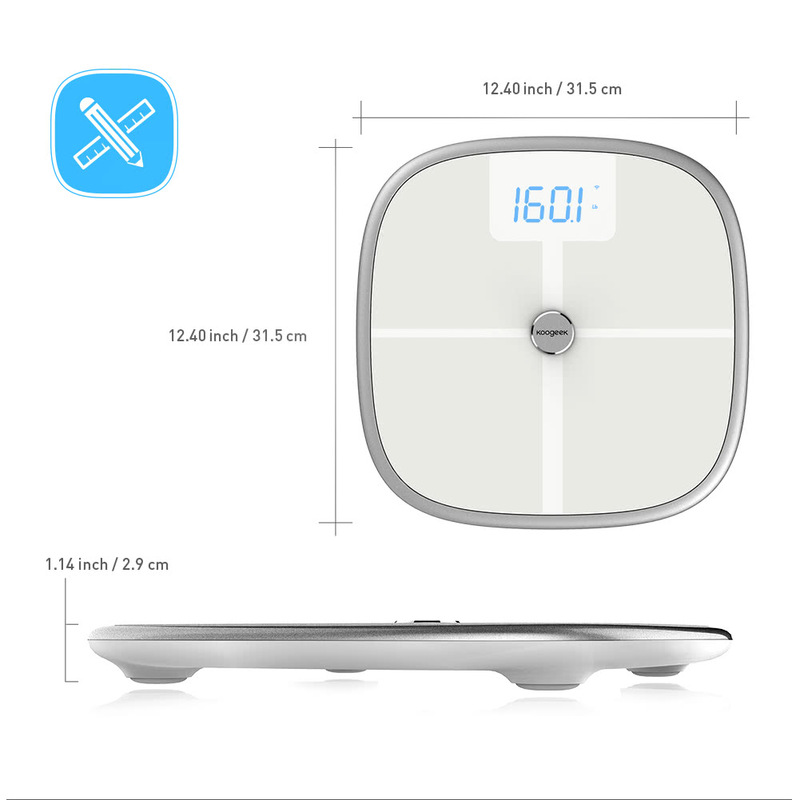 Designed with a polished ITO tempered glass surface and a blue LED display, the scale is durable for everyday use. 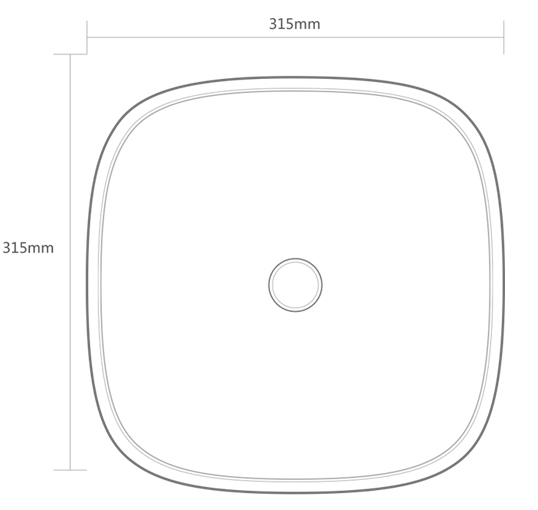 In addition, special oval corners protect the safety of both you and your family. 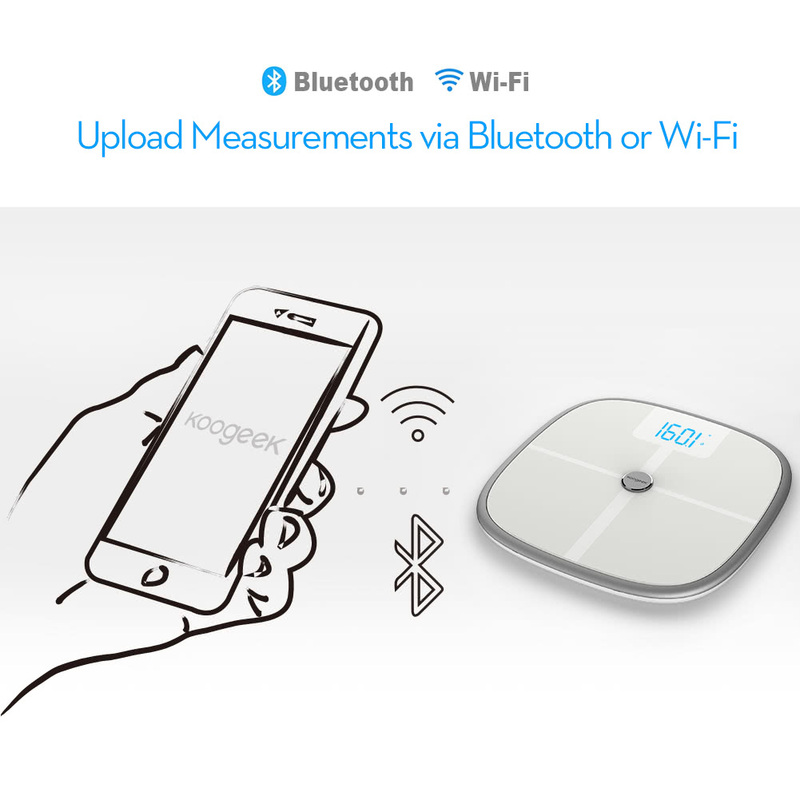 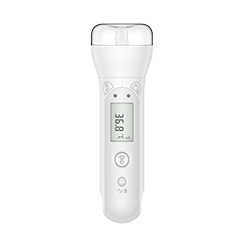 Through easy step, measurements automatically sync and upload to your iOS or Android device via Bluetooth 4.0 and Wi-Fi. 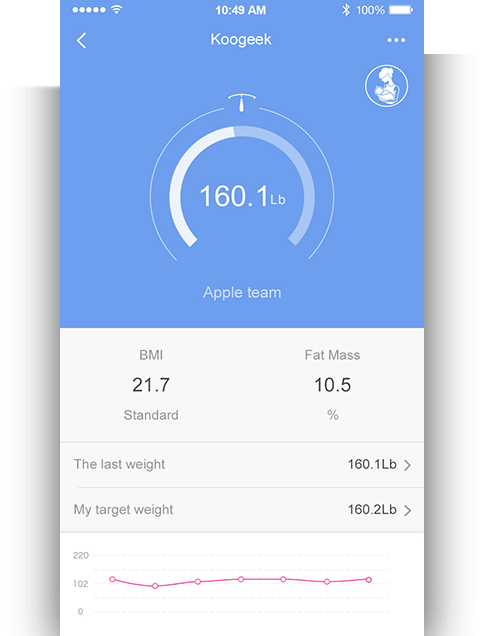 Easy setup to set achievable goals, monitor weight trends and view individual health reports on your iOS 8.0 or Android 4.3 or later devices. 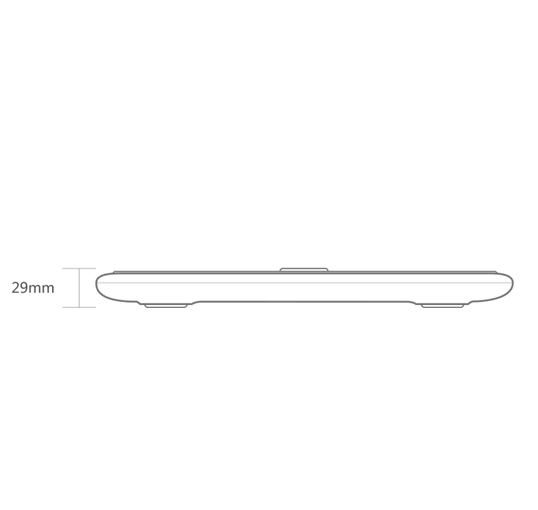 Polished ITO tempered glass surface and ABS is durable for everyday use.